What are the critical skills? Where are the skill gaps? How do we close the gaps? How are we doing today compared to two years ago? Surveys of critical skills that were done years ago showed significant gaps between the skills that were required to perform jobs well and those present in the workforce. Despite these studies the gaps persist today. In the fall of 2006 the U.S. Conference Board reported that most young people entering the U.S. work force “lack critical skills essential for success.” These skill gaps are not unique to a particular industry or business sector; a 2005 report by the National Association of Manufacturers concluded that our human capital performance gap is emerging as “our nation’s most critical business issue.” A 2004 survey conducted in England concluded that the skill gaps for that country resulted in a cost of 20 billion pounds annually to England businesses. Recent surveys report that 17.4% of 4-year college graduates are deficiently prepared. In 2008 the Conference board and the Society for Human Resource Management (SHRM) study “The Ill Prepared U.S. Workforce” found that new hires lack crucial basic and applied skills. Business skill gaps continue to grow in the United States. That is, both new hires and current workers frequently lack the necessary skills to meet job requirements and perform at high levels. Workforce readiness remedial training only provides low to moderate success. Many of these programs do not respond adequately to gaps such as critical thinking, problem solving, and creativity to enable using their employees’ knowledge in the workplace. Despite these findings the skill gaps are not going away but they may be changing. Most importantly, these skill gaps are a significant business issue that will have widespread implications on companiesâ&#x20AC;&#x2122; success or failure in the global marketplace. Purpose Concern about this important problem led the University of Missouriâ&#x20AC;&#x201C;St. Louis (UMSL) to develop a new survey to investigate critical skills and skill gaps in the St. Louis region. 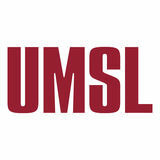 In particular, UMSL wanted to investigate changes since a similar 2008 study. The purpose of this survey was threefold: determine the critical business skills and skill gaps; examine potential solutions to this problem; and learn how the UMSL College of Business Administration can help the skill gaps problem, both through its own efforts and by partnering with the St. Louis business community. Although the survey focuses on the St. Louis business community, we believe results and insights apply to other cities and universities. targeted professionals who have at least a four-year degree. The survey contained a list of 35 skills (and definitions), such as critical thinking, change management, applying information technology, execution, and oral communications. The 2010 survey included 12 skills in addition to those on the 2008 survey. A complete list of the 35 skills and definitions is in Appendix A. Respondents were selected from three different sources. One source was human resource advisors who were identified by the UMSL Survey Team. A second, and the largest, source was alumni of the UMSL College of Business Administration who were identified by internal UMSL sources. Personal contacts, identified by the UMSL Business Leadership Council and the UMSL Survey Team, served as the third source of respondents. Overview of Respondents A total of 317 individuals responded to the 2010 survey as compared to 320 in 2008. There was a good distribution of respondents across industry, age, gender, company size and type of employer (i.e., public and private). Ninety-eight percent of the respondents had at least a four-year college degree. One consistency between the two surveys is that the top critical skills exhibit significant gaps. In Table 3 we see that with the exception of customer orientation, all of the top critical skills show significant gaps. The survey team investigated the impact of the recession on skills that were deemed to be critical. Both relationship building and applying technology to business were in the top ten of those who reported that they were impacted by the economy but not the others. Both skills may be crucial to finding a new job in the current economy. Respondents who were impacted by the economy also differed on the importance of skill gaps. A prominent response that did not show up in the overall top ten was employee engagement. In these times of high unemployment, it is not surprising to see such a skill in the top ten. An employeeâ&#x20AC;&#x2122;s involvement with, commitment to, and satisfaction with work and the company is as critical as ever in order to avoid becoming part of the 10.5% unemployment rate St. Louis saw in early to mid 2010. Other top ten responses unique to those impacted by the economy included active listening, decision making, and critical/analytical thinking. Conversely, responses unique to those that were not impacted by the economy included project management and execution, strategic planning, prioritization/focus, and time management. Impact of Skill Gaps The negative impact of skill gaps is shown in Figure 1. Respondents were asked â&#x20AC;&#x153;What are the consequences of skill gaps for organizations?â&#x20AC;? More than half of respondents answered that the skill gaps reduced productivity and diminished employee performance. More than forty percent answered that lower employee morale, higher costs, reduced customer service levels, lower financial results and lower product/service quality would result. Approximately thirtyeight percent said skill gaps increased the risk of not achieving the strategic plan. Other potential consequences included lack of leadership vision, loss of market share, reduced positive employee working relationships, and increased turnover. Thus, respondents recognized numerous dangers to a company by not closing skill gaps. Reasons for Skill Gaps The four most common explanations for the skill gaps were experience, lack of awareness, the Academic/Business environment gap, and Apathy/inappropriate priorities. Other priorities, Lack of Time and Speed of Change were also frequently mentioned. Figure 2 shows the relative frequency of the reasons. Solving Skill Gaps: University Programs Survey respondents were provided a list of potential ways that universities can help solve skill gaps and were asked to select those considered most important. As shown in Figure 3, the three most frequently chosen ways that universities can help included special joint projects with business, expanded internship programs and continuing education courses. At least a third of the respondents marked business guest speakers and changing curricula as ways in which the skill gaps can be narrowed. The three most frequently chosen ways in which businesses could help are mentoring, real time on the job training, and cross training (Figure 4). At least 20 percent of respondents said that job rotations, better hiring, and classroom training were useful company programs for narrowing the skill gaps. University and Business Partnering Examining the two lists of ways to help reveals many opportunities for universities and businesses to partner. The university can identify matches between students’ interests and skills with special assignments that might be performed in local companies. Such programs often can be developed in the context of a class project, with a useful outcome for the company, as well as providing practical, real-world experiences for students. The university also can partner with business to provide internship opportunities, offering course credit to students and academic supervisors. In return, businesses have the opportunity to place students with the latest knowledge and information and to complete specific projects they may not have an employee to perform. Personal Skill Gaps and Solutions Respondents also were asked to list one or two skills that they were not taught in their degree programs, but they developed after graduation that were critical to success. Although answers varied widely, most soft skills were similar, or identical to, the critical skills in Table 1: active listening, time management, leadership, critical/analytical thinking, lean thinking process improvement and so forth. Respondents also were asked how they closed skill gaps. The two most common answers were learning from others (74 percent) and trial-and-error (64 percent). Conclusions Based on this study we conclude: • Skill gaps are real and they continue to grow. • Opportunities exist for universities and businesses to work more closely together. • Universities need to change to include more real-world, business experience and continuing education. • Businesses need to continue to provide internal development programs. • Individuals must share the responsibility for their own development. • Critical skill gaps have significant negative impacts. • At a time when ten percent of the workforce remains unemployed, these gaps in critical skills cannot continue to be ignored. • We need to develop a sense of urgency; the time to address the problem is now. SKILL GAPS: A CRITICAL PROBLEM It is our belief that skill gaps are too great and important to be left to a process of picking up things from others or trial and error. We believe that only a transformation in business education involving the university and business will quickly close these gaps. The UMSL College of Business Administration’s strategic plan will have it partner with business to close these gaps. We welcome further input on this important problem. We would like to thank our survey participants and survey team for bringing these skill gaps to light and for recommendations for closing the gaps. Reference Material 1. National Association of Manufacturers (2005). 2005 Skills Gap Report: A survey of the American manufacturing workforce. 2. The Conference Board (2006). Are they really ready to work? Employersâ&#x20AC;&#x2122; perspectives on the basic knowledge and applied skills of new entrants to the 21st century U.S. workforce. 3. Owen, G. (2004). Mind the Gap! Development and Learning in Organizations, 18, 7-8. 4. Casner-Lotto, Jill, Elyse Rosenblum, and Mary Wright. The Ill-Prepared U.S. Workforce: Exploring the Challenges of Employer-Provided Workforce Readiness Training. Research Report BED-06-WF, New York: The Conference Board, Corporate Voices for Working Families, Partnership for 21st Century Skills, and Society for Human Resource Management, 2008.
on what is being said and confirming understanding of both the content of the message and the emotions and feelings underlying the message to ensure that understanding is accurate. alternatives, makes informed decision utilizing fact-based management. Being decisive versus indecisive. The cultivation of productive relationships both within and outside your organization. Applying Technology to Business: Understand the power of technology to enable business results. Create alignment with the organizations strategic direction and goals. Business Case Development: Develop a compelling and credible business case for all types of projects. Includes identification of alternative solutions and a financial cost benefit analysis. Change Management: Assess readiness for change and develop a change management process to include: communication strategy, accountability, measures, etc. Creativity/Innovation: Develop new ideas and make the ideas a reality. Generate ideas to impact the organization's results. Critical/Analytical Thinking: Think through a situation or issue to solve a problem. Explore alternatives, pros and cons for each. Review impacts, focus on the vital few/critical areas. Utilizes tools like the 80/20 Pareto Principle. Customer Orientation: Focus on both internal and external customers. Listen to understand their needs, establish expectations and provide for ongoing feedback. Data Analysis: Understand how to transform data into information that leads to decisions, then actions. Driving Stakeholder Value: Identify the key stakeholders and their needs. Understand the business, key value drivers and actions to include: increase revenue, improve margins, optimize assets, and leverage intangibles. involvement with, commitment to, and satisfaction with work and the company. Motivate, develop and reward individuals and teams. Ability to provide constructive and candid feedback. Also, mentoring and coaching. their contribution in groups and teams by creating a supportive and outcome focused environment. Effectively run group meetings to reach a decision, conclusion, solve a problem, etc. Establish key performance drivers, balance of measures to drive the right behavior and results. Include both lead and lag indicators. Provide for ongoing monitoring. Portfolio Management: Ongoing evaluation and prioritization of ideas, projects, etc. Focus on the top priorities. Stage Gate process. Understand the generation differences and the impacts on the business. Ability to bridge the gap between parties of different generations to promote collaboration and understanding. Also, to harness the power of differences for innovation. how to do business abroad, how to manage the complexities. International savvy. Leadership: Set direction, lead by example, develop a strong culture, execute strategy and plan. Meeting Management: Conduct effective meetings - objectives, agendas, facilitate, start and end on time, the right attendees, next steps, follow-up, etc. effective sales presentation for both internal and external proposals. Engaging, encourages participation, clear and concise message, etc. customer value and reducing waste, shorten cycle times, automate manual effort, build in prevention, more right first time, reduce the number of steps, etc. Project Management and Execution: Planning, organizing, and managing resources to bring about the successful execution of specific project goals and objectives. Plan your work and work your plan. Relationship Building: Establishing rapport with other parties in an effort to achieve congruent goals. Ability to develop long term, partnership and trusted advisor relationships. Risk Management: Analyzing exposure to risk and determining how to best handle such exposure. Ability to identify risks with plans to mitigate. Social Media: Understand and leverage the power of social media. Utilizing internet-based applications that allow the creation and exchange of user-generated content to create and expand existing relationships. Strategic Planning/Strategic Thinking: Ability to develop the strategic direction. Asks effective questions to stimulate thought and creative insights. Determining long-term goals and then identifying the best approach for achieving those goals. Teamwork/Collaboration: Working together with teammates or colleagues in order to achieve common goals. Includes leadership and followership. Time Management: Effectively manage time, set priorities, follow-up. Get things done on schedule. Focus on the important. Vendor Selection & Management: Select, negotiate and manage 3rd party vendors. e.g., Consultants, software vendor, etc. Includes contract negotiations, relationship building, establishing service level agreements, etc. Versatilist: People whose multidisciplinary assignments, roles, and experiences create a valuable blend of synthesized knowledge, competencies and context to fuel business value. E.g. Emerging trend in IT away from IT Specialists to IT Versatilists - high depth of knowledge across a broad scope of IT areas and must be able to come into an IT environment with fewer people and have the ability to perform any IT work. Workforce Diversity and Inclusion: Cultivating a culture of acceptance and respect for all parties. Being willing to explore new ideas regardless of where they come from. Leverage the power of diversity for innovation. Written Communications: Ability to write clear, effective memos, reports, or other messages that are concise and clear. Both internal and external correspondence. Utilizes the proper media to communicate to their audience.